CONCORD — Opponents of the Northern Pass transmission project celebrated Thursday afternoon as the Site Evaluation Committee unexpectedly voted 7-0 to deny the application. The seven-member committee said earlier in the day that project developer Eversource failed to meet its burden of proof that the project would not negatively impact the orderly development of the region, one of four criteria that must be met for approval. The SEC’s decision ends eight years of controversy and opposition once the 192-mile transmission line from Pittsburg to Deerfield was announced in 2010. 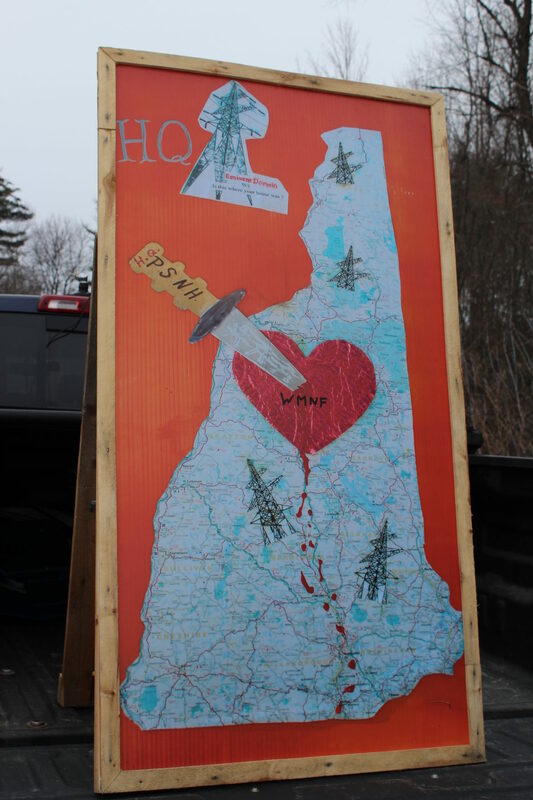 Jack Savage of the Society for the Protection of New Hampshire Forests said the committee rejected a proposal that has had fundamental flaws since the beginning. “That is why they could not make their case,” he said. The company has 30 days after the committee issues a written decision to ask for a rehearing or to reconsider its vote. If that is granted, a rehearing would be held before the SEC, said attorney Michael Iacopino, but if it is denied, Eversource would have 30 days to appeal the decision to the Supreme Court which would determine whether it was unreasonable or unlawful. Depending on the court’s decision, Iacopino said, the SEC could rehear the case and may have to go back to the beginning and start over again. “We’ll do what the court says,” he said. Northern Pass was recently selected as the sole of 46 proposals to provide 1,200 megawatts of renewable electricity for Massachusetts Clean Energy Project and has two months to negotiate contracts with that state’s utilities before going before regulators. In announcing the selection, Massachusetts energy officials said one of the key reasons was the project’s ability to begin operations in 2020, at least two years earlier that other proposals. The SEC had earlier this week concluded Eversource has the financial, technical and managerial capability and experience to construct the 192-mile, $1.6 billion project stretching from Pittsburg to Deerfield. But members were concerned about the ability to manage any project the size of Northern Pass, saying it would be difficult to ensure requirements and conditions are met during construction. On Thursday, the SEC said the project does not meet the criteria that it not negatively impact orderly development of the region, sending opponents home to celebrate and project officials back to Manchester to determine what to do next. Thursday was the third of 12 deliberative sessions ending Feb. 23 when an oral decision is expected. Check out InDepthNH.org’s detailed coverage here.